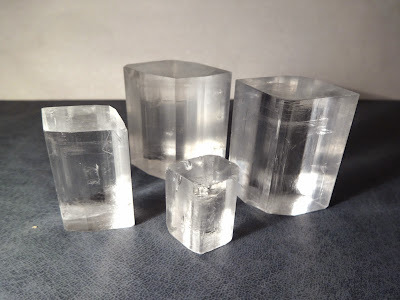 This compound is very well known among crystal growers because of its availability and ability to form big and clear crystals easily, so I won't say much about the growing process. The usual method with slow evaporation was used, with seed crystal suspended on a thin thread. The crystals on the photo grew only in 3 weeks. Transparency of the smaller crystal. This compound is not toxic and, in fact, edible (but not tasty at all). I would not recommend consuming big quantities though. More photos of these crystals are in the gallery Crystal growing: Rochelle salt. The crystals on my hand, for scale. Rochelle salt is well known for its property to generate electricity, when mechanical force is applied to the crystal: piezoeffect. Actually, the voltage is so big that it can make flash a light emitting diode, directly connected to the crystal. 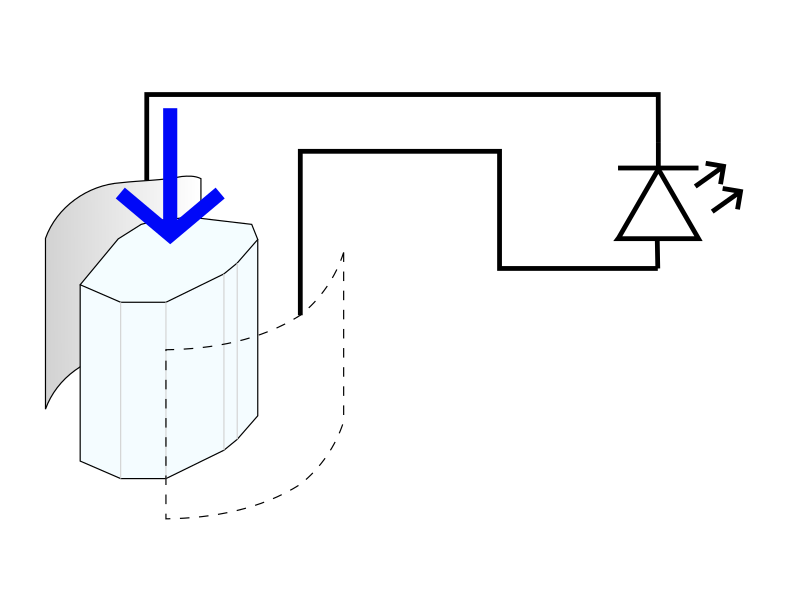 Schematic of the experiment. 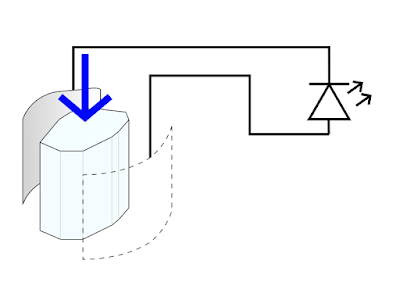 Blue arrow shows direction of the mechanical force (hit). I took 2 pieces of aluminum foil and tightly attached them to the crystal sides with thread and adhesive tape. 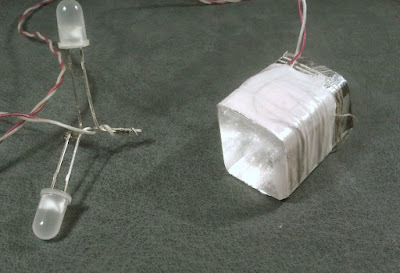 Wires are connected to these foil pieces with another piece of the same tape, and a pair of LEDs in opposite direction is connected to wires. Then, in the dark room, I can see dim but visible red flashes, when the crystal is hit along the vertical axis (blue arrow on the schematic). To protect crystal from smashing, I put a small wooden piece between the crystal and the "hammer" (actually teaspoon). So cool. Not that I ever doubted the existence of this effect, but it is really pleasure to observe such effects on a crystals, grown "from scratch", at the corner of the table.